How do courts assign MDLs? The statute offers no guidance. How should they be organized? No guidance. Can a judge assigned to an MDL exercise discretion in following the federal rules of civil procedure in pursuit of “just and efficient” procedures? Again, no guidance. An unintended consequence of MDLs is mass solicitation by third party litigation financing and marketing companies seeking claimants to add to MDLs. This means many cases are filed with little or no pre-suit investigation. These cases would likely get dismissed if they had to be scrutinized individually. Instead, they get lumped into a giant MDL that clogs up federal courts for years. MDL judges have highlighted the problems with these mammoth lawsuits. For example, a judge levying Rule 11 sanctions in an MDL case declared: “[T]he Court had to waste judicial resources deciding motions in cases that should have been dismissed by plaintiff’s counsel earlier − cases that probably should never have been brought in the first place. Enough is enough.” See In re Mentor Corp. Obtape Transobturator Sling Products Liability Litigation, 2016 WL 4705827, at *1 (M.D. Ga. Sept. 7, 2016). MDLs should not be the safe house for meritless lawsuits. 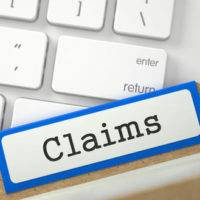 It is somewhat ironic that MDLs are often a myriad of questionable claims since the intent of the statute was to consolidate similar claims so they could be resolved efficiently and effectively. The MDL statute explicitly states that it was created to help coordinate or consolidate pretrial proceedings. Congress should keep this provision, but emphasize the pretrial component since the current “pretrial” language is often given short shrift. Congress could also consider withholding authority from MDL courts unless all parties agree to move forward. Furthermore, if plaintiffs are only alleging harm from the same product and that is the only similarity, there should be an express prohibition for such claims to be consolidated into an MDL. Congress should also make clear that an efficient and effective MDL is not a large settlement accompanied by a huge payout by the defendant corporation(s). This scheme invites abuse by plaintiffs seeking to make a quick buck. The expectation should be that only legitimate claims not be dismissed while the meritless cases (i.e. the garbage cases that a plaintiff’s lawyer with any sense would not file in court individually) will be dismissed. The defense lawyers of Colvin, Chaney, Saenz & Rodriguez, L.L.P., have extensive experience representing product manufacturers from a variety of industries, including automobile, transportation, trucking, medical device, pharmaceutical, industrial, recreational products, children’s products and electrical products. Our South Texas firm has a complete and thorough understanding of the law in these matters, and we know how to develop a strong defense on your behalf.